Description Slighltly cropped version of 414b; they are both photos of a photograph. Over time this image has been misidentified as part of the rail line leading to the 2nd iron smelter. 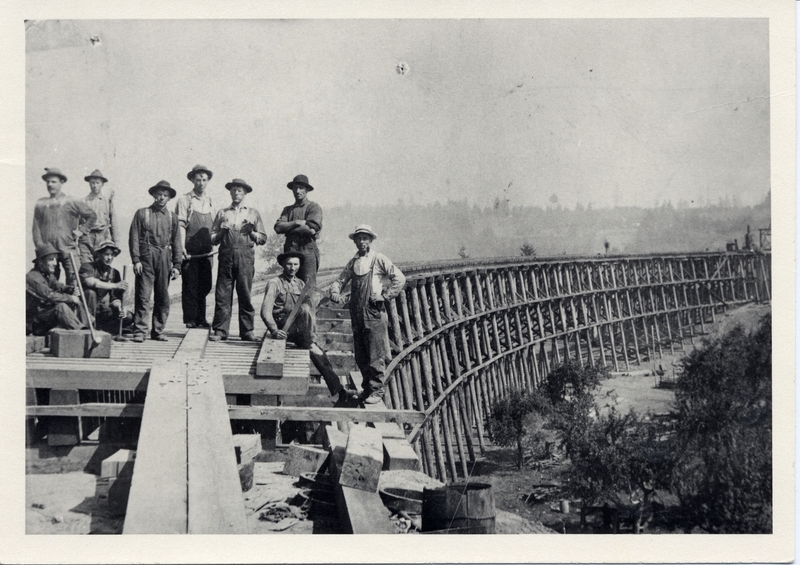 This is actually a photo of the construction of the railroad bridge that crosses the Willamette River near the North end of Lake Oswego. The 1910 census lists 14 men boarding in Oswego who were working on a bridge and this may be the approximate date of the photo.